If you try to convert HTML to WordPress following our free yet robust methods, you have to work a bit but the method to convert HTML to WordPress outline here is free and anyone can do it. Those web masters and site owners who have very old websites, wants to convert HTML to WordPress and integrate it for easy manageability of a CMS. The first step to convert your whole site is to take a full backup, use a separate test domain and use a robots.txt file to robot out the full website. This small payment for the domain name gives you a big flexibility to correct your own mistakes and you will be able to convert HTML to WordPress just like a pro. If you are dreaming at one click you will convert the whole website fully in a flawless manner – you will wrong. Take your time and for that we have suggested to get a test domain first. Most have nostalgia with the old HTML website, forget about the design, the design is nothing but external appearance – the main need to convert HTML to WordPress is the need for easy manageability and good SEO. If you want to stick to the old design or rather want to convert HTML to WordPress from the CSS part, you have to compromise with SEO. It is not what you will like. If you have too much love for the old design, rather design the new WordPress website on the test domain like your HTML site. Traffic wise less important pages like contact-us.html has no problem to totally forget about because there are very few backlinks for them plus they are not the pages which visitors comes from the search engines. You can use WordPress’s Page with appropriate plugins to create such pages, you can copy paste the old texts you wrote there. Finally, create a .htaccees file in the root and redirect contact-us.html to /contact-us/ of WordPress. You will you use a permanent redirection, so even if small number of visitors were coming from anywhere, they will be redirected to the new page. But the main problem of doing this with an old HTML content page is the URL itself, in WordPress you will get example.com/category-folder-name/contact-us/ not like your old example.com/category-folder-name/contact-us.html ; two are different, that is why we said to use .htaccess redirection for those less important pages. You can not change thousands of banklinks to point towards the new example.com/category-folder-name/contact-us/ and this will definitely decrease SERP for the content pages. You can Convert HTML to WordPress for the whole website in the above way with .htaccess redirection, compromising with the above points. Keeping the old HTML pages as HTML but looking like new WordPress website. Copy the full page’s code, paste it in a powerful text editor like gedit. Save it as template.html and replace the content area’s code with suppose your page-1.html‘s one, change the H1, Title, relationship tags – everything and save it with the same name of the old file in a different directory on your hard disk. Now put it on your server’s root (or subfolder if needed) and access it – it is your test domain, you can open it now by – yourtestdomain.com/page-1.html. The old content pages looks absolutely like your new WordPress site. No need to worry about new sidebar, footer etc. It will act as cached version – will be loaded fast than WordPress page itself if not cached. No risk of loss of backlinks, if fact there is enough chance for getting better as you are adding many new relationship tags – you are practically optimizing your old HTML website. Automated softwares : No automated software can do more than you can do in hand. When you are thinking to convert HTML to WordPress, you have to keep in mind, you are converting the format, the extension of the pages – it was HTML and if you Convert HTML to WordPress it will be rendered by php. Do not call PHP in HTML – be it CSS or sidebar unless it is a dynamic content like “Recent Posts”. After you are satisfied with the test domain, take the FTP / sFTP backup and MySQL backup and its time to install WordPress on your old domain and delete all the old files before installing and restoring you old site with new look. This Article Has Been Shared 246 Times! The appearance of the site in WordPress is crucial to the success of its project, many themes are available online, you can find a better or a worse. Here is a comprehensive list of tips to be followed for choosing the right Wordpress theme. We will discuss about the optimum settings of this robots.txt file for your Wordpress website. Free Forum Softwares can be used for creating an active community for Blog or Website. Here are some of the best free Forum Softwares that can you choose from. List of Open Source Wiki Softwares Based on PHP MySQL shows some free yet powerful Wiki softwares for you for Business, Educational, Personal or for marketing. 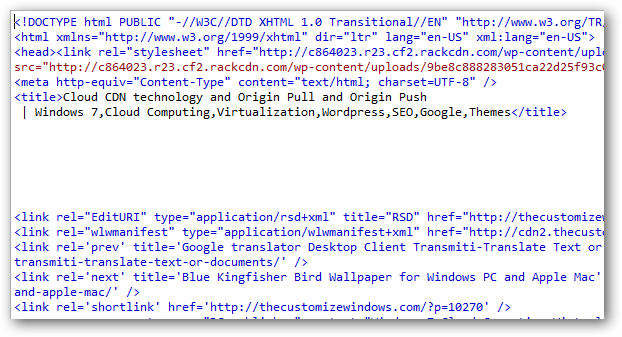 Cite this article as: Abhishek Ghosh, "Convert HTML to WordPress : Detailed Free Methods," in The Customize Windows, February 4, 2012, April 18, 2019, https://thecustomizewindows.com/2012/02/convert-html-to-wordpress-detailed-free-methods/.